CRL wants to know: has your bank broken your heart? 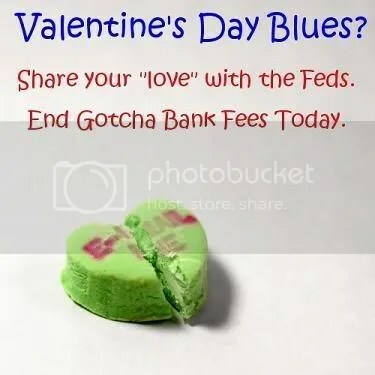 Has your bank broken your heart? How about your account balance? If you think bank overdraft practices are costly, unfair and out of control, the Federal Reserve Board invites you to cry on their shoulder.Deadline for comments is March 30, so there are 45 days to have your say! You might as well do it today. Tell the Fed to adopt the stronger of two rules they have proposed – the “opt-in” rule, which would require that banks get your explicit permission before enrolling you in their costly overdraft systems for ATM and debit card purchases. These systems approve overdrafts without warning the account holder, and artificially drive up the number of $35 fees the bank can charge if your account goes into the red. The “opt-in” rule will help cure the bank account blues, and keep you out of the red. Tell the Fed we need “opt-in” now. ← Does July of 2010 seem a long way off to anyone else?